- Rolls up during cleaning and features adjustable spacers. 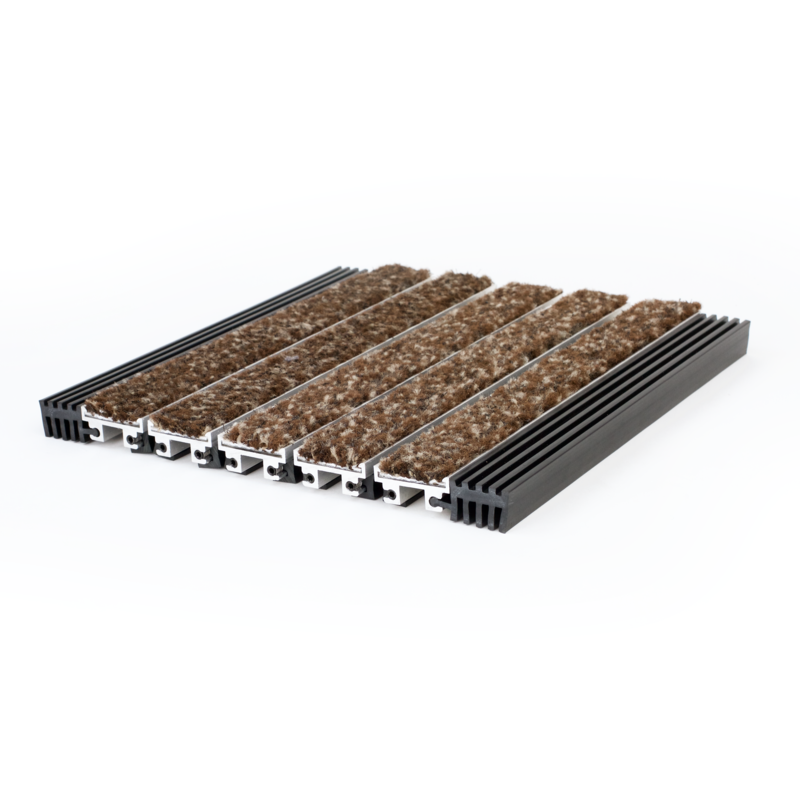 - Drainage holes between tread rails allows moisture and dirt to fall below mat. - Mat rolls up compactly for cleaning. Material: 6063-T6 extruded aluminum alloy tread rails and frames. Tread Spacing: 1-1/2” (38.1 mm) on center with 8 treads per foot in the direction of travel. Spacing Between Rails: Heelproof spacing of 5/32”. EG600 Premium Carpet Tread: Super absorbent, stain-resistant 33 oz. nylon carpet for interiors, now with 10 mil scraping fibers added. EG601 Vinyl Tread: Full length serrations provide excellent traction for wet interior entry ways. EG602 Serrated Aluminum Tread: All aluminum construction with full-length serrations, nonflammable and waterproof for interior or exterior entry ways. EG604 Vinyl Abrasive Tread: Abrasive grit provides our highest coefficient of friction for interior installations. EG605 Tuff Tread™: Non-absorbent polypropylene carpet with tough 20 mil fibers is best at scraping shoes to remove dirt. Interior or exterior. 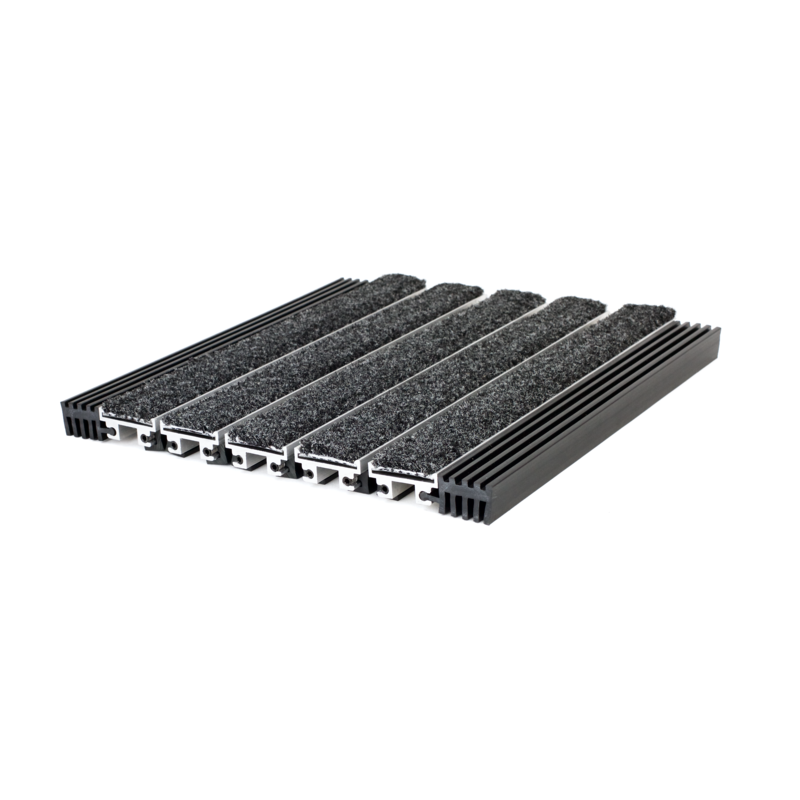 EG610 Alternating: Two types of tread in an alternating pattern provide scraping combined with absorbent carpet for maximum building protection. EFRA6: Angle frame 3/4” (19 mm) deep by 1/8” (3.2mm) profile. 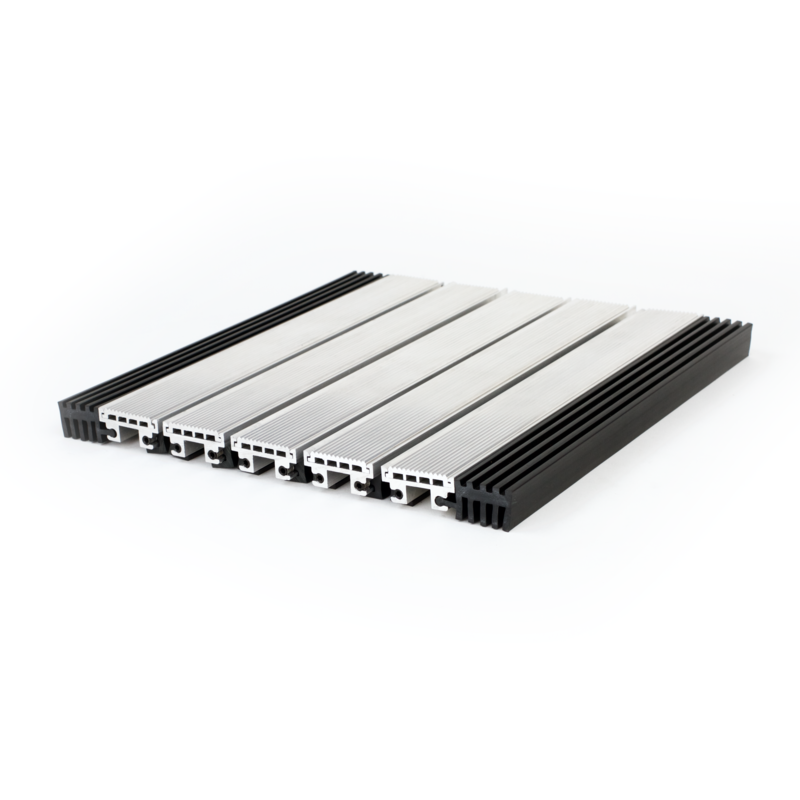 Extruded aluminum 6063-T5 alloy construction. End filler is provided at both ends to create a snug fit.